One thing that can get in the way of your social success is when you have a soft or quiet speaking voice. Sure, not every soft-spoken has a ton of problems, but all things being equal, you'll have a simpler time of things if your speaking voice is easy to understand. The same applies to similar issues like having a tendency to mumble, talk too quickly, or trail off. This article will cover the effects of having a quiet voice, the factors that can cause it, and what you can do if it affects you. "Well, people are always asking me to repeat myself, but I'm sure I speak clearly"
One point to mention is that if several people have told you that you speak at too low a volume, then you do. Sometimes quiet talkers will get frustrated and say things like, "My voice is fine. Other people need to learn to listen." If only one person consistently asks you to repeat yourself, you could make a case that they just don't hear well. But if you're always being asked to speak up, then the culprit is your own style of speaking. From the outside in it's often hard to get a sense of what you sound like to other people. If you record your voice and play it back you'll get a better sense of what everyone else hears (your cellphone should have a Voice Memo feature you can use). A quiet voice can obviously inhibit communication. A person can't give you a proper response if they don't catch all of what you've said. Instead of asking you to repeat yourself, sometimes they'll pretend they've heard you and respond with a conversation killing, "...Yeah..."
If you want to speak in a group conversation, especially a lively one, it's a lot harder to draw attention to yourself. If you get to speak it's more likely someone else will jump in and start talking over you. It becomes close to impossible to make yourself heard and socialize in louder environments like dance clubs. Being asked to repeat yourself may make you feel flustered, on the spot, and embarrassed. Some people are a bit lazy and impatient and tend to take the path of least resistance in social situations. When they meet a quiet talker they may find it too much trouble to always have to try to make out what they're saying. Instead they'll move on to someone they have an easier time understanding. Some people believe that meek, apprehensive individuals aren't worth knowing, and that if you speak in a quiet voice you fall into that category. On a personal level, it gets really old to constantly be asked to repeat yourself or speak up. Having had too many experiences of being ignored or talked over, you may give up on trying to say anything in certain situations. If someone first started speaking quietly due to shyness or confidence issues, a vicious cycle can start: When they talk softly it leads to experiences they see as negative (e.g., being asked to repeat themselves, being told they're too quiet, being ignored). This further damages their confidence and makes them feel even more hesitant and afraid to contribute when they socialize in the future. A quiet voice may have a physical explanation. Many soft-spoken people will also tell you the issue is tied into feelings of shyness, poor self-confidence, and other psychological factors. A mix of the two is also common. Sometimes a quiet speaking voice has a physical cause, such as a weakness in the vocal cords or a respiratory condition. This is more likely to be the case if you talk quietly at all times, rather than in particular situations. Some people just have naturally low or quiet voices, and haven't yet learned to compensate by developing the ability to talk at a higher volume. Similarly, some people just tend to mumble or talk too fast if they're not concentrating on speaking clearly. If you don't talk to people very often, your voice may grow weak from lack of use. Someone may be self-conscious about another aspect of their voice, and speak quietly in order to conceal it. For example, someone may want to hide a voice that lisps, shakes when they're nervous, tends to crack, or doesn't suit their age or gender, in their opinion. Some quiet talkers don't have confidence in themselves and what they're speaking about, and so lower their voice in order to 'hide' or downplay what they're saying. They may also mumble, trail off, or rush their speech to try to achieve the same result. Some people report that when they feel nervous in social situations they can't help but speak at a low volume. They may say it feels like their throat is tight, and they can't get the words out properly. Anxiety can also cause people to speak too quickly, or trial off as they lose their nerve halfway through their statement. A person may start talking quietly due to a conscious or unconscious desire to not draw attention to themselves (of course the irony is that speaking softly usually puts you more in the spotlight). Talking quietly can sometimes be a way to get people to leave you alone. 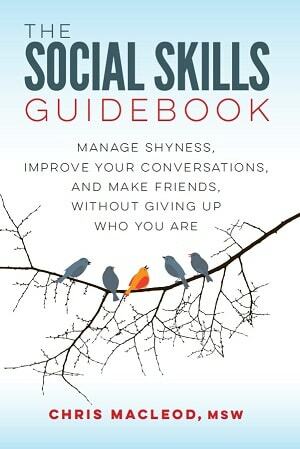 As an overall strategy, someone who's shy may have learned that if they're hard to understand, others will tend to give up on trying to talk to them. As an example of a more specific tactic, a student who is being called on in class, and who doesn't know the answer, may mumble something inaudible, and hope the teacher assumes they gave the right response and moves on. Someone may come from a family where everyone talks quietly, a style that doesn't translate well into the outside world. Some people grow up in a difficult situation and learn that it's better to be quiet, agreeable, and inconspicuous. Later in life they have trouble giving up this behavior. People who are depressed may start to speak more quietly. It's a symptom of the generally defeated, low energy mindset they're struggling with. It depends on what the cause is, but becoming less soft-spoken often involves a combination of learning the techniques to speak at a higher volume, along with addressing any underlying shyness and self-confidence issues. Working on one of these areas sometimes naturally overlaps with the other. You may know for a fact your quiet voice is related to your shyness, but if you suspect a physical reason, it can't hurt consult your physician. They may refer you to an Ear, Nose, and Throat doctor (a.k.a., an Otolaryngologist), who specializes in diagnosing and treating such conditions. This is another option to consider. Speech therapists are trained to help people with a variety of speech production and voice problems. Set aside some time to just play around with your voice and try talking in different ways. You can record yourself to get a sense of how everything will sound to other people. Practice reading books out loud every day, to exercise your voice and get comfortable speaking more loudly. Or write out some pretend conversations and practice those. When talking to people, pretend they're farther away than they are, and raise your voice accordingly. Learn to speak 'from the belly', rather than through your nose, or higher up in your chest. You know you're using your diaphragm when your stomach moves as you talk and breath, and not your chest and shoulders. One thing that can muffle a person's voice is when, due to shyness or bad habits, they talk at the ground or into their chest. You may be able to make your voice easier to hear if you can look the other person in the eye while you talk to them. People who speak quietly often say it feels weird and uncomfortable to speak more loudly. They may feel like they're yelling inappropriately, or like they're straining their throat. Over time these concerns may disappear. Your body's vocal equipment will get used to generating more volume. You'll realize that while it might feel like you're yelling when you're speaking more loudly, it doesn't sound that way to everyone else. The first is that shy people have a variety of beliefs about themselves and the social world that make them more anxious and hesitant (e.g., "I'm boring", "Everyone is out to judge me", "If I don't have the perfect things to say then I've failed.") They need to identify and debunk these ways of thinking. Secondly, they need to face their fears and get used to the social situations that make them uncomfortable (more on that below). 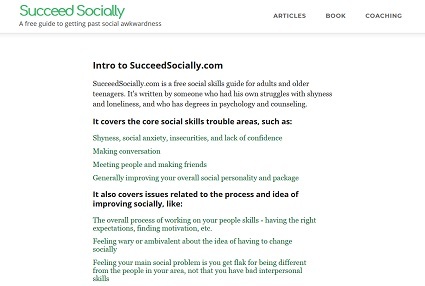 Lastly, if their overall social skills are rusty or under practiced, then they need to slowly build them up. Again, information on how to do all these things can be found on the rest of this site. First, you'll want to identify what aspect of speaking more loudly that makes you nervous. Is it having several people focusing on you? Is it that you think your opinions or contributions are worthless? Is it that you feel self-conscious? Once you've identified the issue, put yourself in social situations with the goal that you'll create the conditions that make you nervous (e.g., speaking more loudly to tell everyone how you feel about a recent event in the news, speaking more loudly to get the group's attention, just speaking, period)..
You can consider yourself successful if you faced your fear by speaking more loudly than normal. For example, if you shared an opinion and it didn't go over well, that doesn't matter as far as this exercise is concerned. At least you were brave enough speak up. Or if you talked loudly enough to get a group's attention, it's not relevant what you did right after when everyone was focusing on you. Keep putting yourself in scary situations until they don't feel as intimidating. Start with scenarios you can handle right away, and then as you become more sure of yourself, work up to ones that make you feel more inhibited.